Denver Serve is a nonprofit that has been supporting organizations and individuals in need since 2017. Created for professional women who have a passion for giving back to their community, this network allows them to do just that while building relationships with each other. Members aim to build community, support local nonprofits, and share their talents and passions with others. Their focus and approach have sparked a lot of interest within the community and the Denver chapter has quickly risen to include over 100 active members with two more chapters being added in Kansas City, MO and Austin, TX. 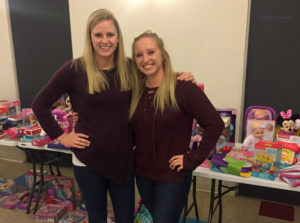 The decision to partner with Mercy Housing was easy for Kelsey, Denver Serve Executive Team Member, and she is thrilled to be able to support Mercy Housing’s mission. There are a variety of ways to provide support to Mercy Housing residents. And while giving back to their community is the main focus, the positive benefits they receive in return is invaluable. “It truly is an honor to be involved with Mercy Housing and it has touched my heart in many ways. I love being able to interact with the kids and get to know the families. I know how important it is to have a home environment that feels safe and I love that Mercy Housing is providing that. 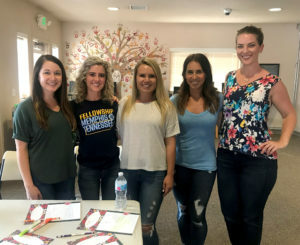 Whether it’s handing out new backpacks for the school year, setting up games for holiday festivals, or doing yard work around the property, I love interacting with the individuals and families and seeing the kids’ faces light up, just warms my heart,” comments Kelsey. With the passion and commitment Denver Serve volunteers bring to each opportunity, the impact they have is sure to radiate throughout the community. And as the needs of Mercy Housing residents change, it provides great comfort to know Denver Serve will be there with their continued caring support. Mercy Housing couldn’t be more excited about this partnership with Denver Serve and what the future of working together will bring.